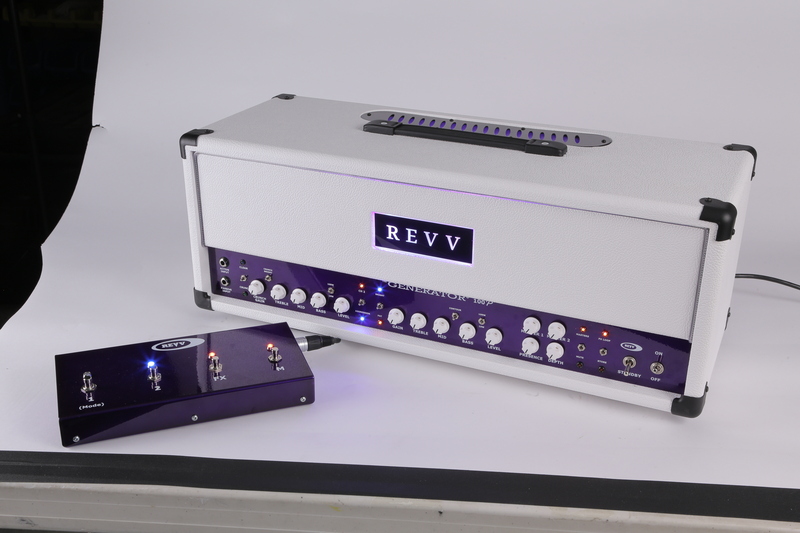 Revv’s most aggressive amplifier yet. 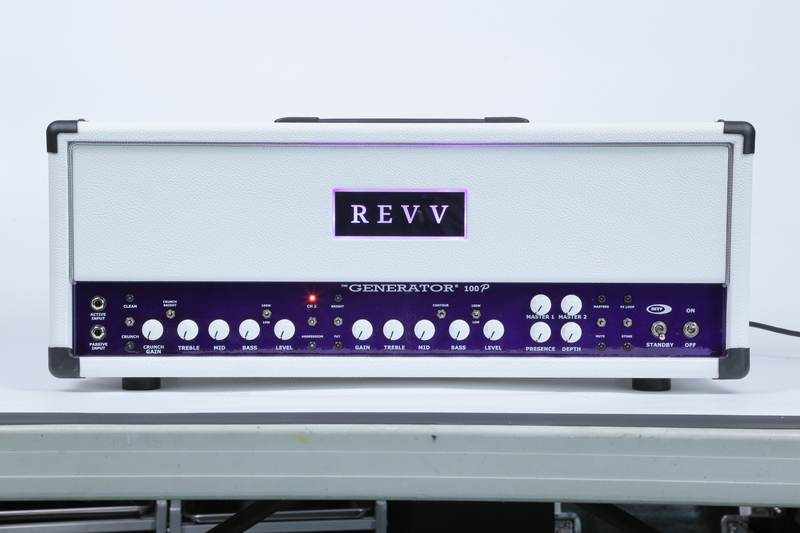 The Purple Channel on the Generator 120 is one of our favorite features. It’s very clear and articulate and sits perfectly in a mix. It doesn’t really sound like anything else. 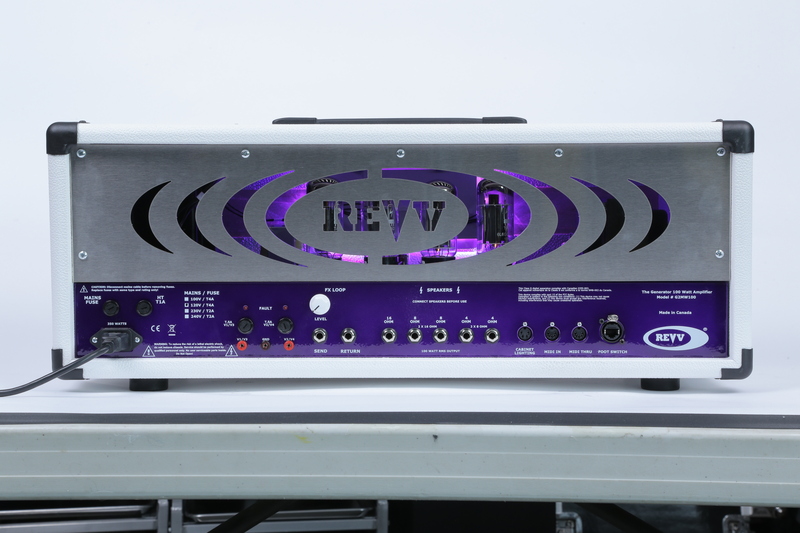 We wanted to use our 100 watt platform to make that channel more affordable, and also leverage the unique tone and features our 100 watt amps provide. The 100 is great for any size venue especially because it is variable wattage down to 10, and it has a few more features than our 7-40 lunchbox head. It wound up being a perfect fit and we’re really excited to get this out there. Each channel offers its own output power selection switch to choose either 10 or 100 watts. Transparent, tube buffered serial effects loop with signal level control. 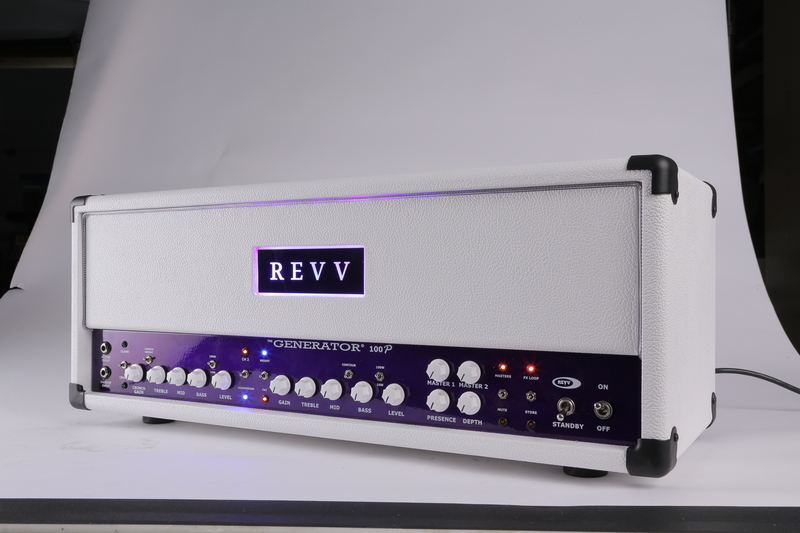 The Generator 100p is hand built and ALL tube! 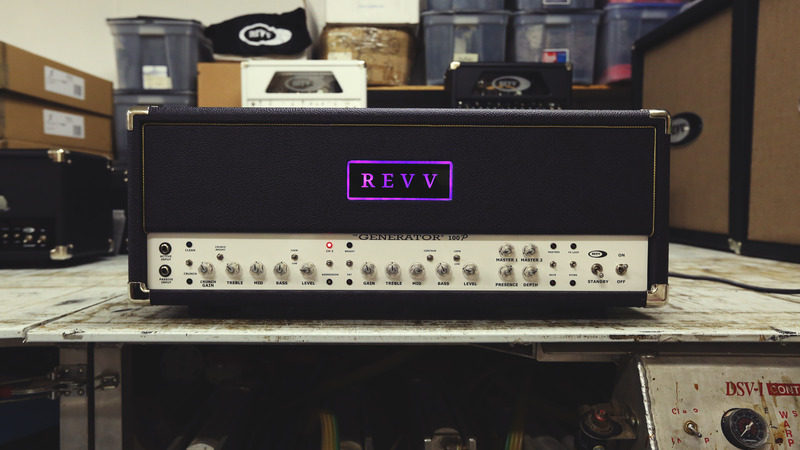 High quality parts and designs add to the brilliance of the tone and rock solid durability which puts this amp above the rest! Only parts that promise long life and durability were selected and included in the build of this amplifier.